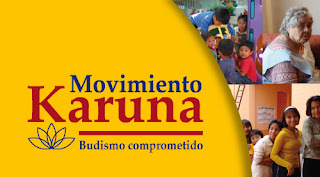 Triratna Buddhist Community News: "Colecta Karuna, Mexico" changes name to "Movimiento Karuna"
"Colecta Karuna, Mexico" changes name to "Movimiento Karuna"
Movimiento Karuna (Movement Karuna) is a project that proposes social integration, through a shift in consciousness, to respond more creatively to the suffering, hatred and indifference that are more and more common in society. The project emerged in 2008 as a bridge of connection between people that would like to help, but do not know how, and people that need help. Helping without underestimating anyone, without an air of superiority, we can come to understand, experience and develop universal values. Throughout the year we make collections in kind for the benefit of institutions, lectures, days of meditation and special workshops to help us understand and practice loving-kindness (mettā), compassion (karuṇā), sympathetic joy or gladness (muditā), and equanimity (upekkhā). In the last years we have done seven collections of different foods, toys, candy, and money to buy things that are needed. 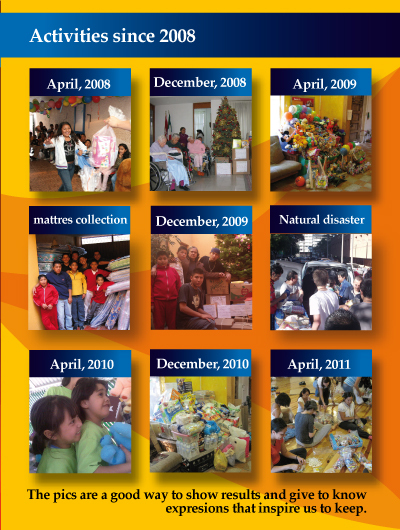 We also held two collections in the case of natural disasters that occurred in towns. We are very happy with the results, but we see that in the time between collections we need others things that help us to keep up the practice and of course to help us clarify these emotions. It is for this reason that we changed the name because we needed a name that means not only collections, but something more... We hope to show the results of these activities very soon. Buddhist gives BBC's Reith Lectures!